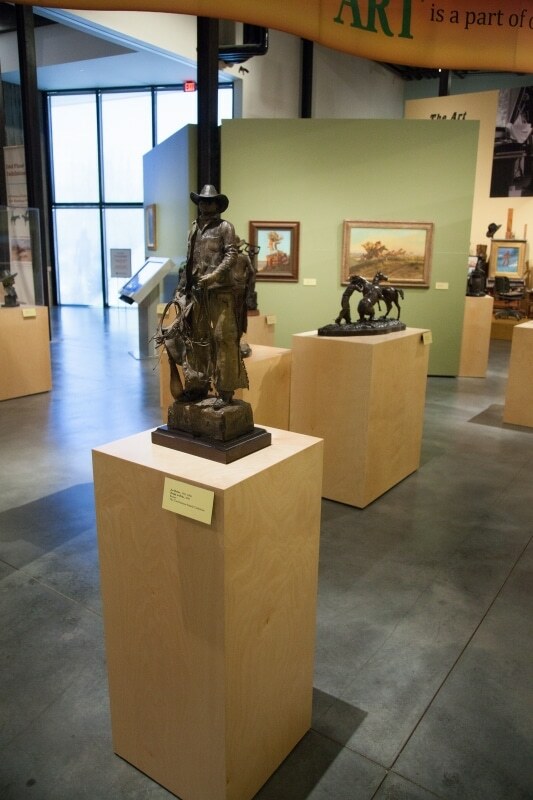 Scottsdale's Museum of the West: The Art of Joe Beeler - CK Valenti Designs, Inc.
As a founding member of the Cowboy Artists of America, Joe Beeler helped define Western art for current and future generations. Beeler’s art tells his personal stories about his experiences with people, places, powwows, and roundups throughout the American West. 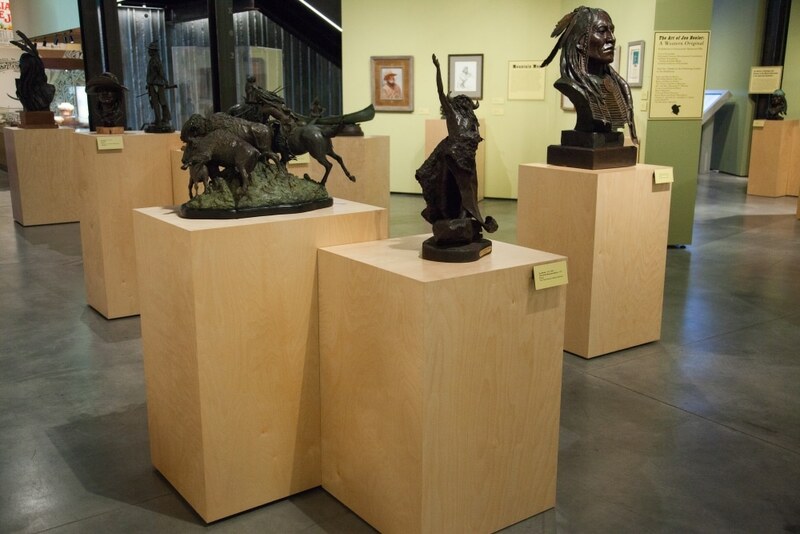 This major retrospective includes more than 80 paintings and bronzes of cowboys, Plains and Southwest Native Americans, mountain men, and animals. Along with Beeler’s art, the exhibit includes personal objects that offer an inside look at his vision and storytelling ability. 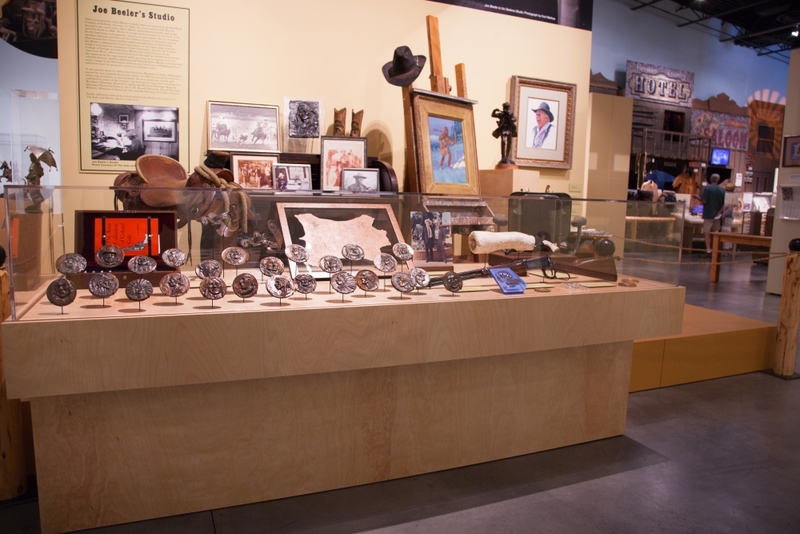 The Art of Joe Beeler: A Western Original exhibit is available at Scottsdale’s Museum of the West from January 16, 2018 to October 28, 2018. A recreation of the artist’s Sedona, AZ studio gives visitors an intimate look at his workspace. 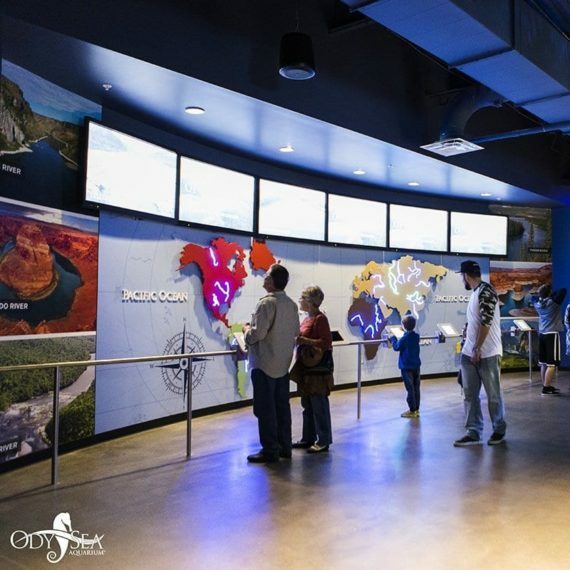 We built a platform to elevate the artifacts for ease of viewing while also protecting them. 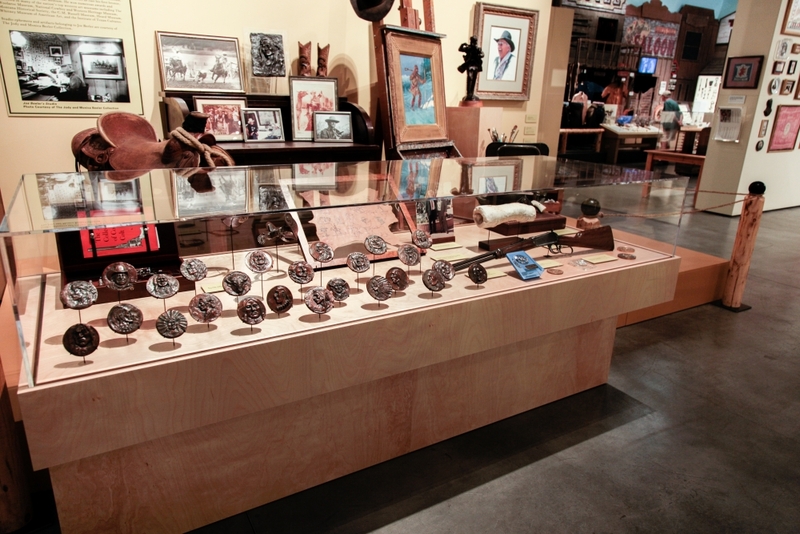 The studio display is fronted by a large birch display case featuring bronze medallions and personal artifacts. 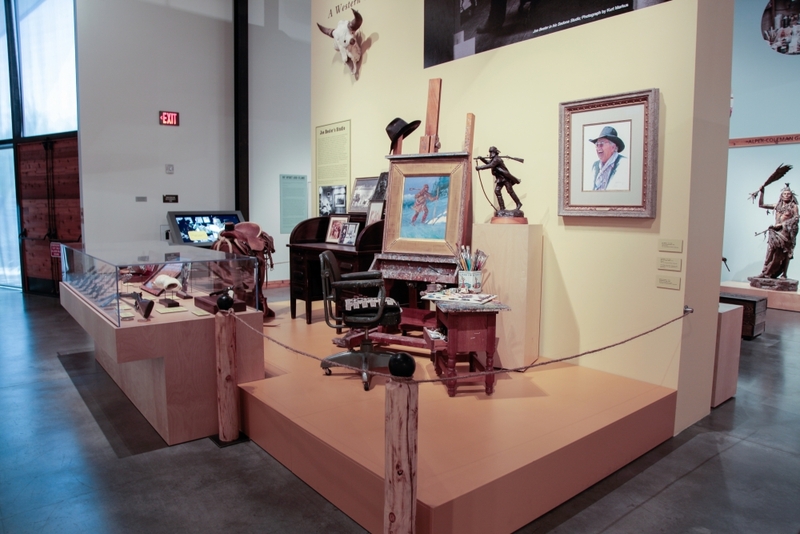 The case and studio recreation give visitors an inside look at the man and his work.